I took a class in College called Personality in Politics. The class offered a wildly engaging analysis of the way that personality effects Politicians, policies and their ultimate success or failure. Think Time Magazine meets People Magazine. Needless to say, I loved it! This past week I found myself reflecting on those days while I observed some interactions between horse and rider, rider and trainer, rider and vet and so on. 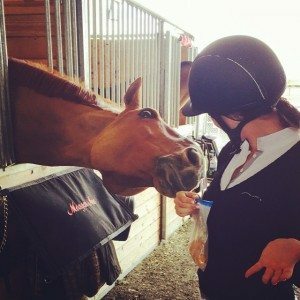 In the equestrian world, we are constantly surrounded by a huge variety of personalities, and I can’t help but take notice of how differently so many people seem to be working to achieve the same things. In my past as a working student, and now as a happy horse loving amateur and a self-proclaimed student of the sport, I find myself spending lots of time in the schooling area. I am generally on foot more than in the saddle these days, which if you are in the right place at the right time can afford you some free lessons in riding, teaching, and patience (Let’s be frank, it is a busy schooling area). There is no shortage of personalities in the schooling area at any busy show. Think about it the next time you are out there. There are timid riders, over-thinkers, under-thinkers, people in la-la land, aggressive riders, passive riders, angry riders and patient riders. I am really just scratching the surface here, and that doesn’t even take into account the various members of the ground crew that accompany each four legged creature. Look around, take a second to stop and listen. You will hear calm explanations, loud screaming, laughing, crying, fighting, joking. And to each their own. It could be anybody’s day once they step into the ring. Meagan Nusz and Dynamo: No lack of Personality for Either of these two! The additional complication to this meshing of personalities that happens in any human interaction is that horses have personalities too. Part of working with horses is realizing that you are not just following a run of the mill recipe for success that works every time. 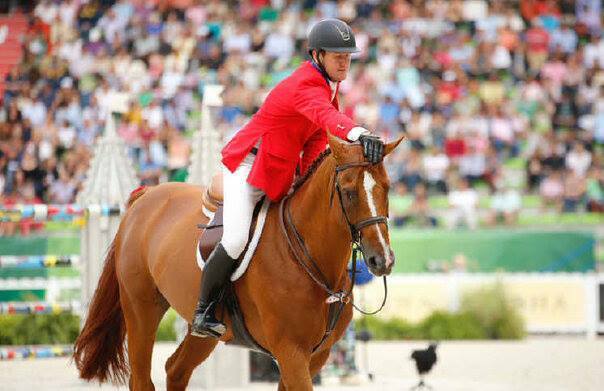 Each horse requires a special understanding in order to best provide them with what they need. A rider such as Eric can hop on just about anything with four legs and 9 times out of 10, he will make it better, or allow for him/her to be their best. This is not some magic voodoo that Eric, or other riders of his caliber have discovered and chosen not to share with the rest of us. There is no magic potion, bit or lucky socks. These people, and I include Managers, Grooms, Vets and Farriers in this category, have success because they take the time to understand each horse’s distinct personality. They put in the extra effort to find out what makes each horse tick, what makes them want to go out and give their all. And they find logical ways to meet the needs of each horse, each individual, each personality. Similarly, the best teachers find a way to explain the same concept as many ways as it may take for each student to comprehend. They adapt their own personality to support and fill in the gaps of their pupils. 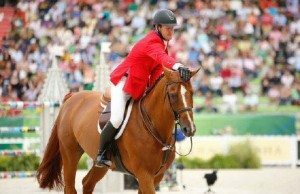 It is a beautiful thing to see a team like Mclain Ward’s or Kent Farrington’s work with one another, support one another, appreciate one another and succeed together. Personality is a gift. It makes us unique. It sets us apart and and makes us special. But the true gift is being able to identify and understand a personality, and work together to make something great. 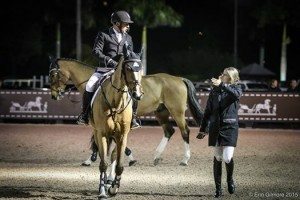 Sapphire and McLain, Hickstead and Eric, Rodrigo and Baloubet du Rouet, these are personalities who found each other, and made each other whole. And what horse and rider could not do for one another, grooms, managers, vets, exercise riders and more stepped up and did what needed to be done. With modern politics in its current state, we could use more meshing of personalities to make each other great. In horses, in politics and in life, the dominant personality will always make itself known. But the success of that personality is all in how it works with others, and finds the right teammates to fill its gaps, make it stronger, make it better. As horse people, it is on us to do the meshing, the hole filling, the supporting. 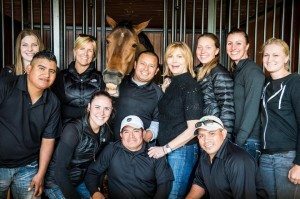 Success with horses, no matter the arena, is finding the right fit, and working with your team to make it work. Personality impacts politics as it does equines. It is our responsibility to find the right team and adapt to one another’s personalities to support our equine counterparts (as I hope, however naively, politicians do to support their constituents). 1. 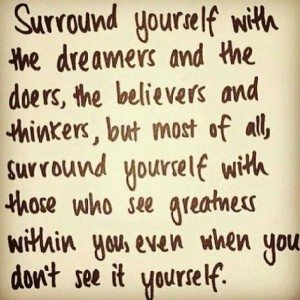 Surround yourself with a team that makes you your best self. 2. Respect and embrace the individuality of your horse, your team, your friends, and your peers. 3. Be willing to adapt to bring out the best in one another (Horse or human). 4. 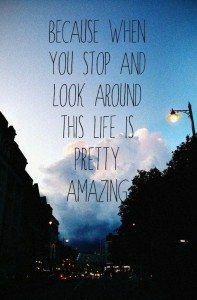 Stop and look around every once in a while. There are amazing people doing amazing things. And if you’re lucky, you may just get a front row seat. Loved your article. Thank you for stressing the fact that it takes a village to make this horse show thing work. I feel the shows themselves also have the same “village” to make the whole thing run. I worked as a groom on the circuit for a number of years and loved it. It’s nice to see the credit for a winning horse and rider being viewed as a team effort. Wow, that’s a really clever way of thkniing about it! So beautifully written…words of wisdom for all of us to live by…..